Wine Country Connection formerly Groezinger’s Wine Merchant is located in the small restaurant and hotel rich town of Yountville. In fact this shop is conveniently located close to Redd, Bouchon and Bistro Jeanty – all culinary delights in their own right. 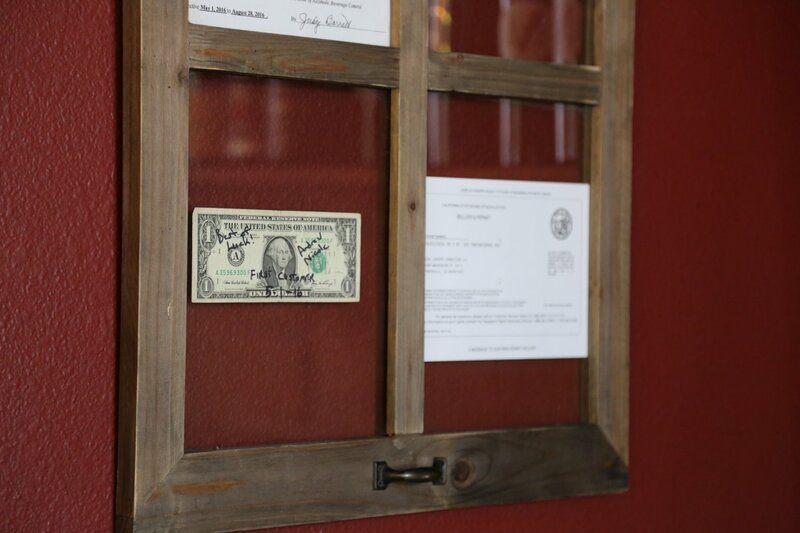 There are an abnormal selection of very high end well-known restaurants for such a small town. 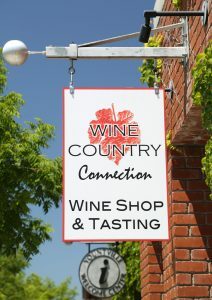 Where there is good food there is good wine (or maybe its also the opposite) and Wine Country Connection provides a number of wines from very small boutique wineries, most of which you will never have heard of unless you are in the wine business or you are a very passionate consumer of wines. Their inventory features mostly small Napa and Sonoma producers. 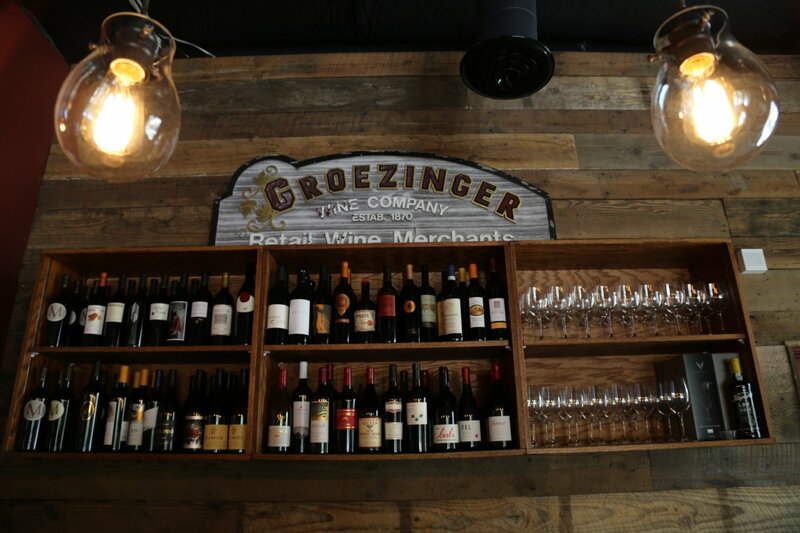 Groezingers was the name of a historical winery built in 1870 which is home to Vintage 1870, a premium shopping center located slightly north and across the street. This very small retail shop is somewhat hidden unless you know where to look – they are across the street from the Villagio Hotel and next door to the Yountville Visitor’s Bureau. 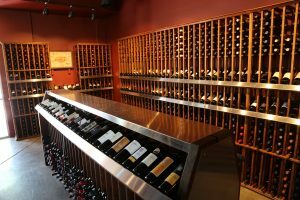 They began as a wine shop in Yountville in 1970 in what is now Vintage 1870 shopping center – more specifically in the store that now houses Michael Chiarello’s NapaStyle. The store was then moved later to what is now Bouchon Bakery (a former brothel, among its other uses) and then finally to its currently location in 2002. The store has changed ownership several times over the years. Current owners are Wine Country Collection, a wine warehouse business founded in 1997 – based in Santa Rosa (neighboring Sonoma County). Their core business is selling wine (they work with some 25 brokers) and sell direct to consumer via their online store. Master Sommelier (MS), Kevin Vogt became involved with Wine Country Collection several years ago and more recently became a partner in the business. He lived in Las Vegas for some 25 years – and worked with famed chef Emeril Lagasse for twenty of those years finishing as Wine Director for Lagasse’s Las Vegas restaurants. 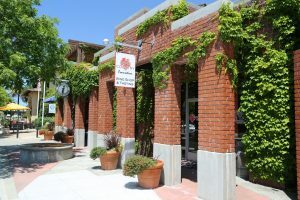 His last day for Lagasse was April 28, 2016 and three days later on May 1st he was opening the Wine Country Connection retail shop in Yountville. While this turn around was quick, the pace of life in a retail shop is certainly going to be less hectic then his previous career was in Las Vegas. Kevin was the only American to pass the Master Sommelier exam in 1999 – his recall for wine stats is impressive – during our visit he was easily recalling percentages of varietals in various blends from some of his own earlier wines made years ago. He is not the only wine expert to work here – others are extremely well trained and can help guide you towards the wines or varietals that best suit your palate. Five partners (all with well trained palates) sit down once a week and taste through 50-60 wines – of which they only choose 3-4 for retail. Price is of course a consideration and many of their wines are available at a reasonable price to quality ratio. 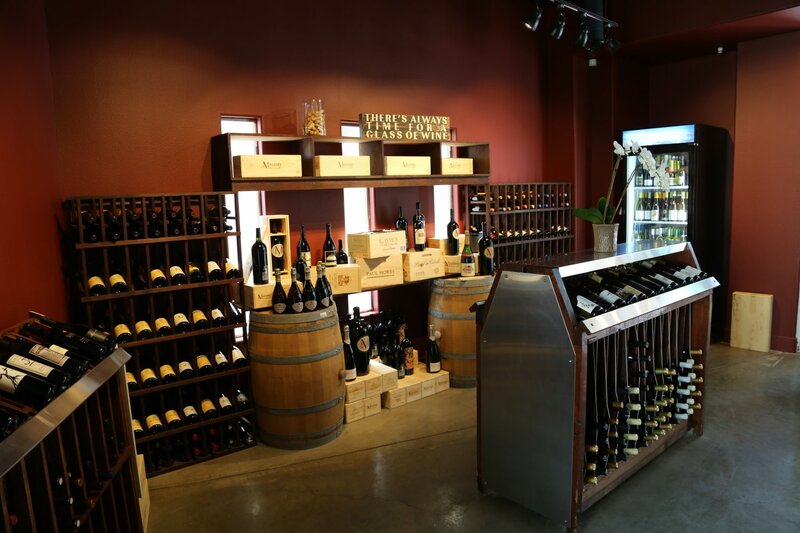 They offer a number of Napa Cabernet Sauvignon and Bordeaux styled Napa red blends. In addition, with their long time connection to Sonoma County they have developed numerous relationships with vintners there and as a result provide a good selection of Sonoma County grown and produced Pinot Noirs. 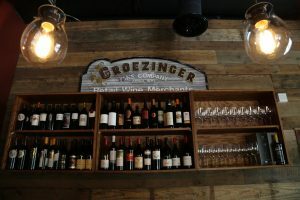 The small tasting bar is open daily (note the nod to heritage above the bar – the old Groezingers sign) and features either small 2oz pours (samples) or wines by the glass. Some of the wines are from wineries without tasting rooms and also from producers with very limited distribution – but others are from larger producers. Tastings are chosen from a list separated into varietal categories. Their reserve tasting focuses on Napa Valley Cabernet Sauvignon based wines or Bordeaux style red wines. Wine Country Connection owns four unique wine labels – Mastery – founded by Kevin, Steps – a Napa Cabernet based Bordeaux styled blend, James Joseph – a quality wine that over delivers for the price point – aged in premium oak barrels they purchased from some of Napa’s top winemakers and Blind Tasting – a red blend that is sure to be a hit – if first looks make a lasting impression. This wine is silk screened as a wrap around to resemble a paper bag with a tag hanging from the bottle with the words “blind tasting”. Ingenious packaging! When Kevin decided to make wine in 2005 he was introduced to noted winemaker Philippe Melka. Philippe made each vintage of Mastery until 2010. In 2011 Kevin was unable to secure fruit that met his quality expectations so he did not make a wine. Champion of biodynamics and related farming, Rudy Zuidema has been making this wine since 2012. 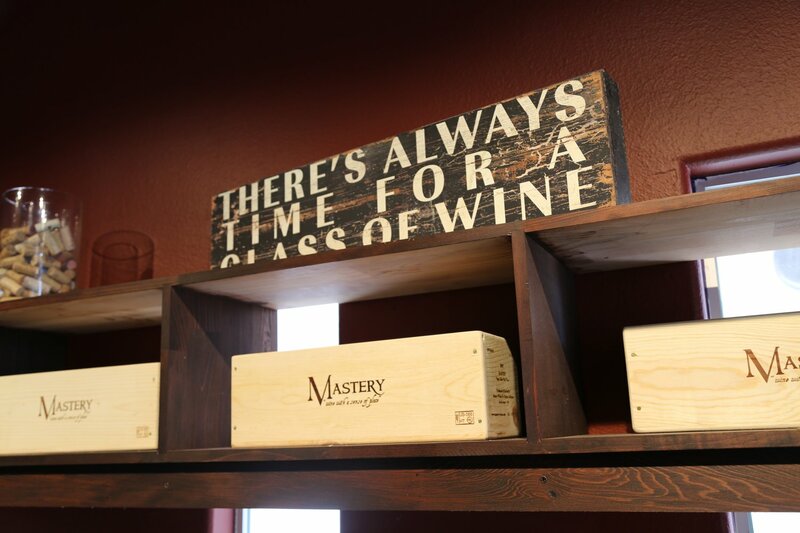 The 2005 Mastery Cabernet Sauvignon was sourced from Gemstone Vineyards (Kevin actually introduced Philippe to the prior owners/founders of Gemstone and he became their winemaker for a number of years). This vintage is a blend of 50% Cabernet Sauvignon, 40% Cabernet Franc and 10% Merlot. Kevin noted that this wine took a while to ‘come around’ but it is drinking beautifully now (2016). The wine shows dark ruby red colors and medium viscosity in the glass – with aromatics that seemingly indicate a younger wine then in actuality. Sweet fruit, floral notes, blackberry, fine chocolate and nuances of cedar show. The palate has a pleasing suppleness – it is very balanced. The tannins are well integrated into the wine – are certainly still noticeable while lingering softly on the palate. This wine and various vintages are available for sale in the store. Note the label on the Mastery Wines – it is the same grape leaf used in the logo for Wine Country Connection. 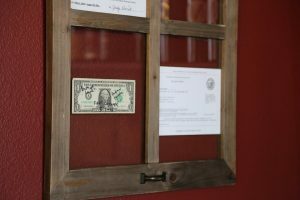 An email newsletter is sent several times a week keeping customers updated about the latest wine specials offered or news from the tasting room. It is currently mailed to a number of clients on their mailing list. You can join this mailing list by visiting the website or by stopping by the wine shop. I would like to discuss your assistance in wine purchasing for my personal use. My wife and I live in Bethesda Md. A suburb of Washington DC. We have visited Napa for the past 30 years. We are presently completing a fully conditioned wine room in our house that will accommodate 1100 bottles. Our present collection is approx. half of that. We enjoy wines that Thomas Brown and Pierre Melka have been the Winemakers to.